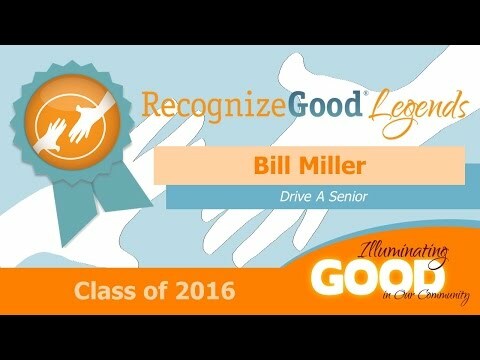 Over the last 10 years as a volunteer driver for Drive A Senior, Bill Miller has provided over 760 volunteer drives equal to more than 17,000 miles. Willie Nelson’s famous “On The Road Again” might be a fitting theme song for Drive A Senior volunteer Bill Miller. Since he began volunteering with the organization in 2007, Bill has provided over 760 drives to Central Texas seniors ranging from doctor appointments to grocery shopping. That translates to an estimated 17,000 miles of volunteer driving! During his drives and other volunteer ‘duties’, Bill has encountered many clients who need extra care – one-hour appointments that last for four or five, reassuring clients who are anxious about a doctor appointment, or any other form of intangible assistance that a client may need. He also drives veterans in need of medical care to and from the Veterans Administration clinic in Temple once a way, which he’s done since 2007.